With the previous model winning the European Car of the Year award in 2015, the new VW Passat has only built on the previous successes. 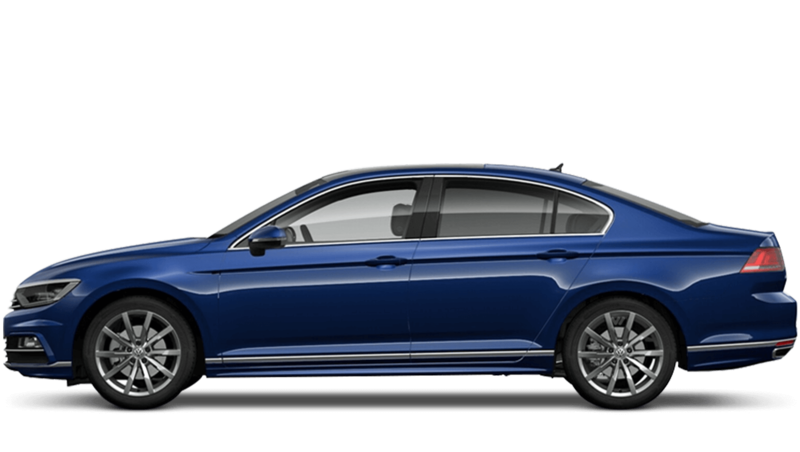 The new Passat is reliable, powerful and filled with useful technology and safety features. With a range of different models with different engines including the spacious new VW Passat Estate, there’s sure to be a model to suit you. 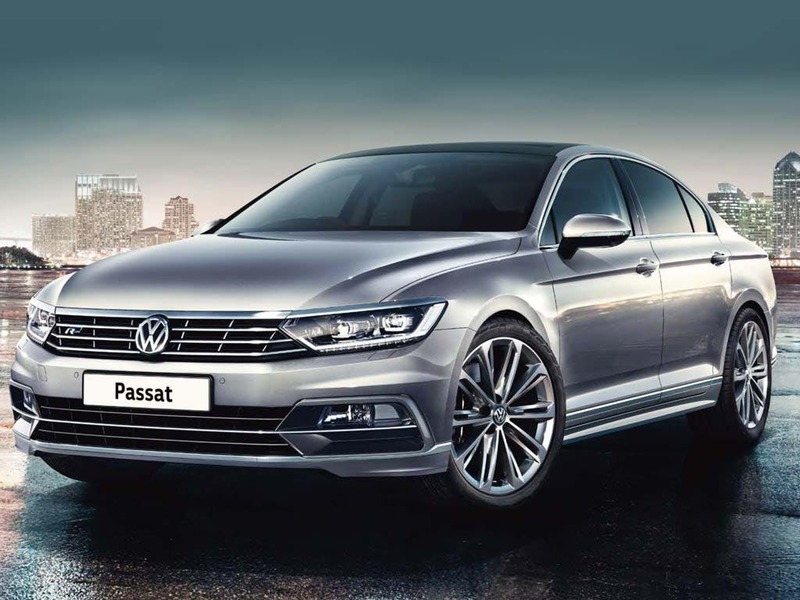 Discover all the latest Volkswagen Passat offers currently available. 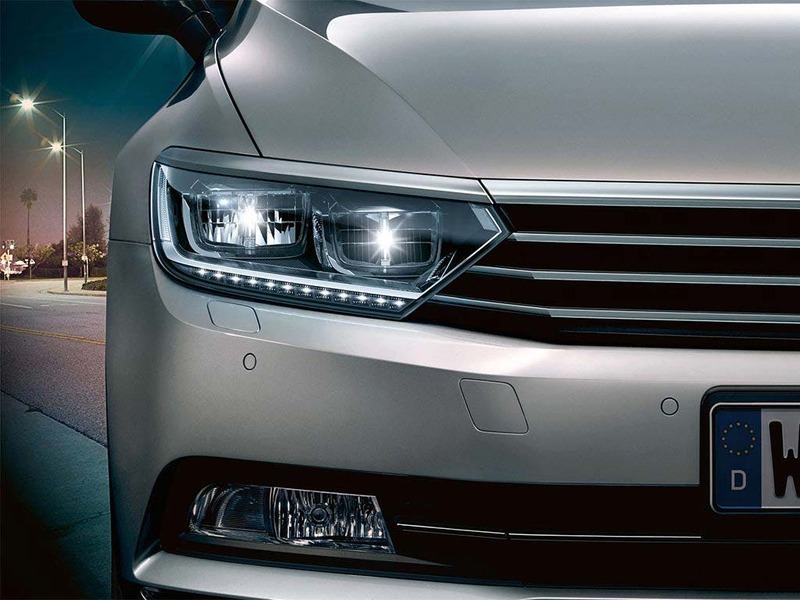 Every detail matters, view the Volkswagen Passat technical specification. 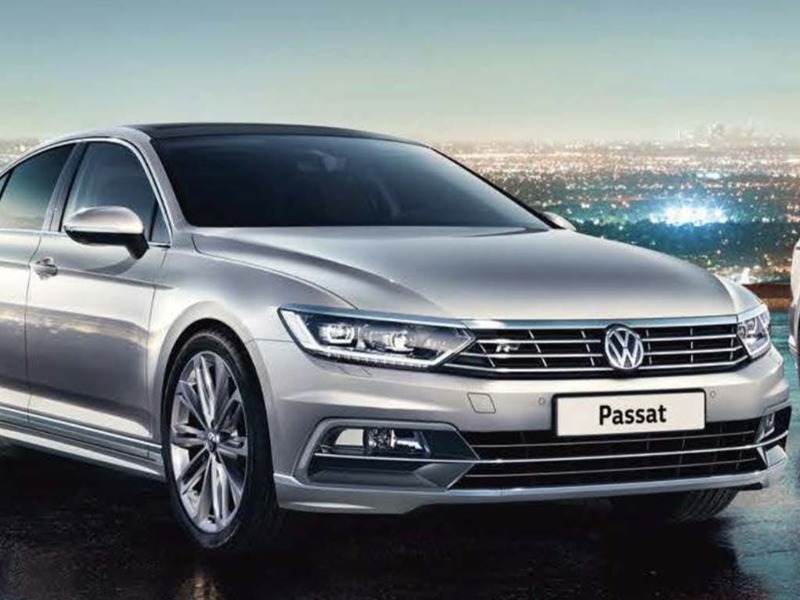 Download the latest Passat brochure. The classic chrome grille is encased between two angled and aggressive look, making for a more imposing look. 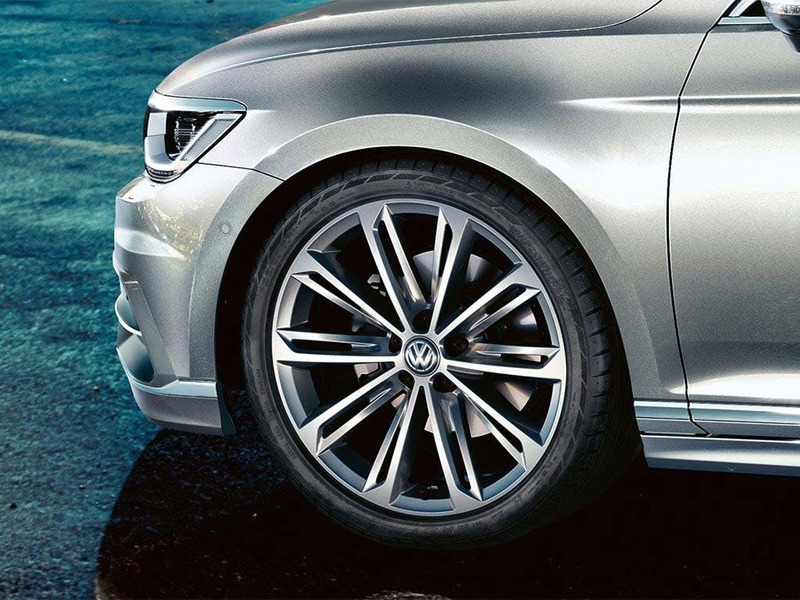 The alloy wheels give your car a high-end touch whilst the back end features powerful LED rear lights. The lower bumper and stance improves stability, keeping you tightly on the road. Powerful VW lines contour the new Passat to create a powerful and in-motion look, whilst silver side window linings add to the feel of luxury. The cabin has been ergonomically crafted to enhance the comfort of everyone inside with more head and legroom than any previous model. The boot follows suit with an impressive 1,152 litres of storage space with the seats folded down. Standard seat features include adjustment and lumbar support, whereas the top range models have an ergoComfort driver seat with various supports and extra adjustments. 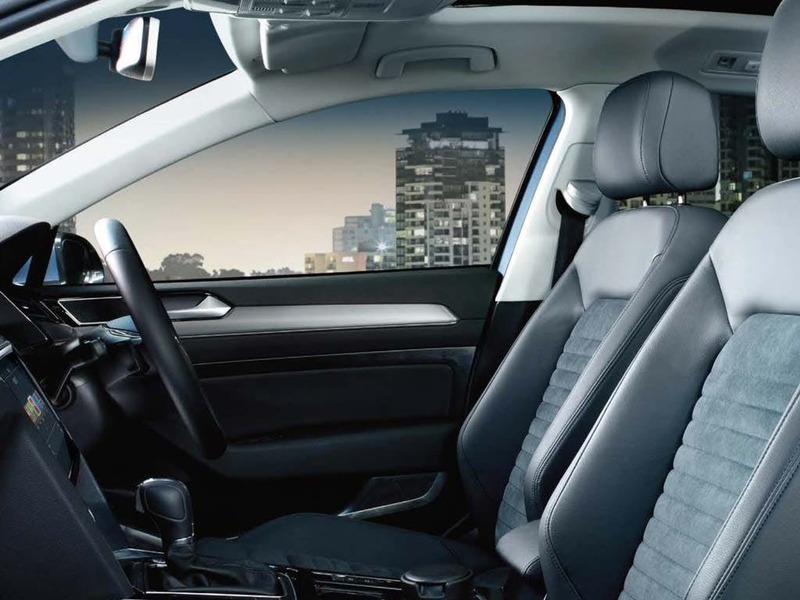 The panoramic sunroof lets in light and fresh air, enhancing the driving experience. 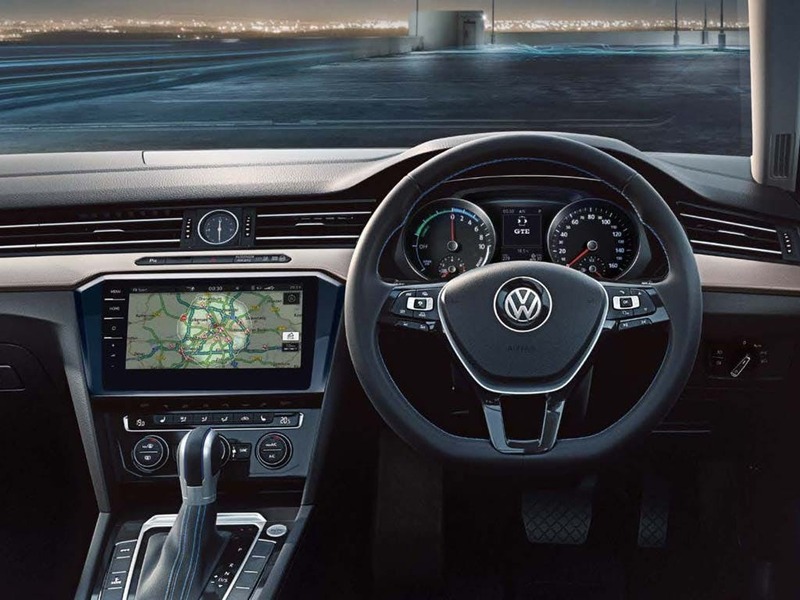 As you’d expect with a top of the range and award winning model, the new VW Passat features various standard and advanced technologies. 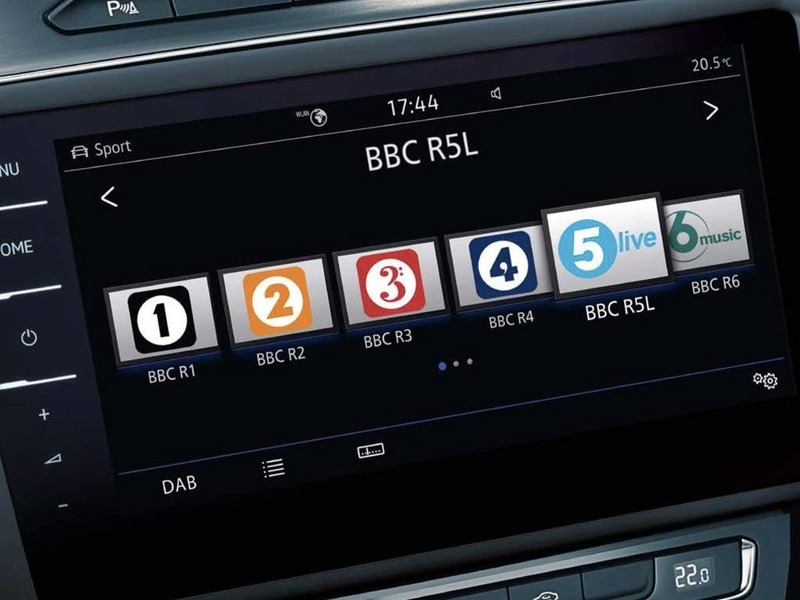 The main touchscreen features satellite navigation, a DVD and radio system. Eight speakers play your favourite driving songs in perfect clarity whilst the Active Info Display shows vital information including your rev counter speedometer. Car-Net pairs with your phone to use its hotspot function, connecting your car to the internet. The new VW Passat is seriously packed with safety features. Park Assist helps you with parking in crowded car parks, whilst Area View uses cameras to give you a much wider view, letting you spot pedestrians or cars around a corner. The Side Scan function works to help you when moving lanes by scanning your blind spot and reporting on close by cars. Post collision braking stops you from any further danger, whilst emergency city braking can automatically apply the brakes. Experience driving the award-winning VW Passat yourself by booking a test drive at your local Volkswagen dealership in Kent. 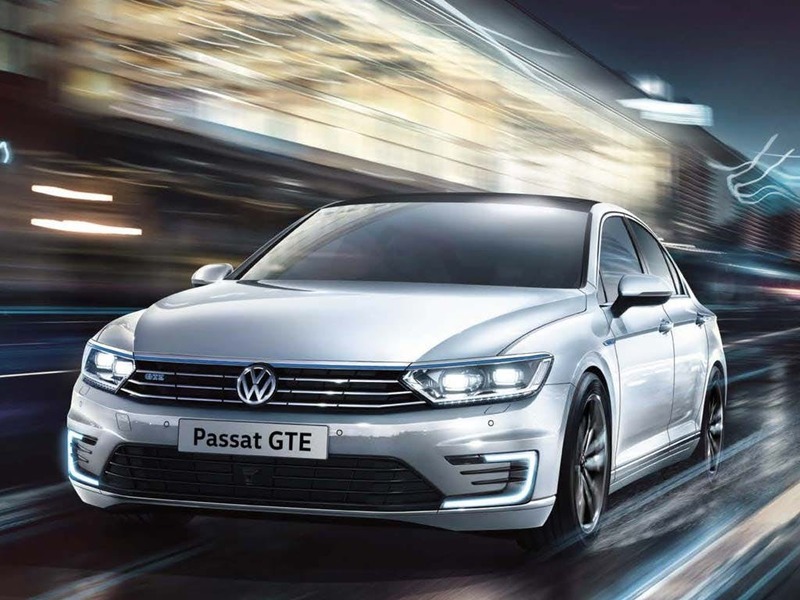 If you’re looking for more information about the Passat or want to discuss the best purchasing options available for you, visit your local dealership or call us to speak to a friendly member of the Beadles Volkswagen team who will be on hand to help answer your enquiries. of customers that bought an Volkswagen Passat would recommend to their friends and family. Beadles Volkswagen Maidstone were great because the salesman sorted all my queries with no fuss.excellent service from ernie. Beadles Volkswagen Maidstone has the car I wanted and were willing to do a deal we were all happy with! I'd endorse Beadles Volkswagen Dartford because of the knowledgeable and friendly salesperson as well as the simplicity of the whole process of purchasing a vehicle. Handover arrangements also completed in a very professional but also friendly manner. All questions answered and business card given in case of any future queries.